Bullfight tickets Sevilla Domingo de Resurreción 2019. Buy your tickets to Sevilla bullring. Date to be confirmed. Order your advance tickets from Bullring Sevilla, as soon we have posters and official prices Servitoro will get in touch with you. Easter Sunday bullfight in Sevilla. Sevilla Seville city with color and charm joy and colorful. This city has its big week at Easter Sunday. The processions today are carried out by different brotherhoods that compose for worship and devotion to saints and virgins being known the Cristo de los Gitanos, the Virgin of Triana and of the Virgin of the Macarena. 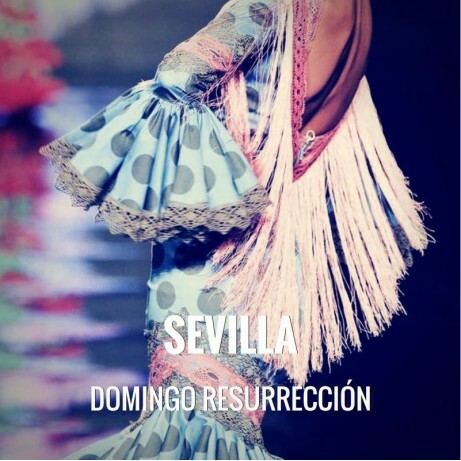 Seville is not only processions and religious activities since it has its fair: “La Feria de Abril”. This fair is always held in the month of April,. Both Easter and the April Fair have become the most significant festivals of Seville. La feria de Abril is celebrated with bulls, houses, Seville, lights, horses ........ throughout one week. Servitoro delivery service offers the User the opportunity to acquire the tickets in a safe and easy manner from his/her home address, avoiding long queues before ticket offices. Servitoro offers to non-residents the opportunity to deliver the tickets to hotels, hostels and similar (2-4 days before the show) during their stay in Spain and coinciding with the bullfight event (charges a fixed cost of 12€ per ticket VAT included + 10% promoter for early booking). In the Bullring you can take pictures and record videos without permission.